There is a reason it is called addiction recovery – your mind, body and spirit all have significant healing to do. While the alcoholic and drug addict should never start out running marathons, it is essential to start some kind of fitness routine and/or exercise to help keep your sobriety on track and promote healing both inside and out. Exercise can play a key role in recovery just as simply finding ways to lead a more active life in general can. Working on your physical health is an important part of the recovery process. It is no secret that sobriety is hard. Exercise is one of the most rewarding forms of stress relief an alcoholic and addict can get and it can help minimize and/or eliminate cravings to drink or use drugs. Exercise relaxes you. It provides something healthy to focus on. It allows the mind-body connection to begin to interface again to learn healthier ways to deal with stress management. No matter if you are an alcoholic or a drug addict, addiction wreaks havoc on the body. Make sure to receive medical clearance before beginning an exercise routine and wait until the substances are out of your blood stream. 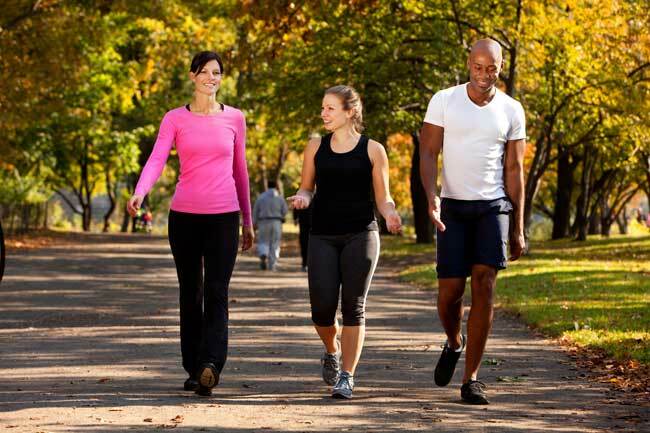 Some exercise like walking, can actually help one through the detoxification process while not feeling well. Exercise relieves and reduces stress. Moving your body alleviates stress and allows you to get rid of negative emotions you may have been holding onto. Exercise positively and naturally alters brain chemistry. When you exercise, your body releases endorphins which create a natural high. These are the same chemicals secreted when drinking and drugging. They lean to feelings of pleasure, happiness and satisfaction. Exercise improves your outlook on life. Research has shown that those who exercise regularly report increased feelings of optimism and self-confidence and reduced feelings of anxiety and depression. In summary, exercise is a simple sober activity that comes in many forms, promotes recovery, minimizes cravings and helps prevent resorting to active alcoholism and drug addiction.